If you’ve been following gaming for the past year or so, you’ve noticed that there have been several soundtrack releases coming out on vinyl. Everything from classic chiptunes to contemporary releases like Supergiant’s Transistor soundtrack. Some games are even shipping with vinyl records as part of their limited Collector’s Editions. Getting into vinyl can be a confusing and costly quagmire, with numerous choices for entry-level turntables and all-in-one record players. Many of these aren’t worth your time or money, but you do not need to spend $500 or more just to get started. Which brings us to the Audio-Technica AT-LP60 line of turntables. This review comes after four months of actual real-world use. I go into the turntable’s quirks, many of which only become noticeable after prolonged use. After reading this, you’ll have a good idea of what to expect, and you can decide whether you want to jump in now or save up a bit more. 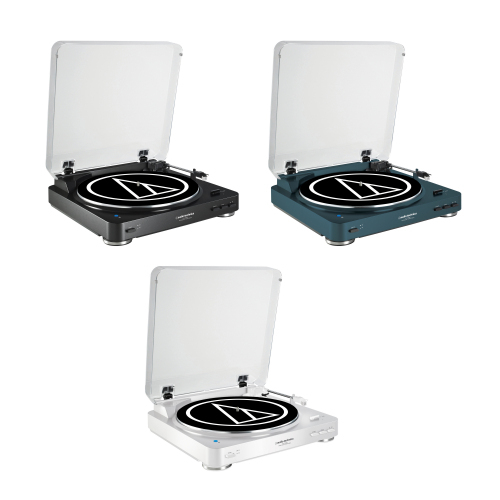 Just three of the colors the Audio-Technica LP60 is available in. 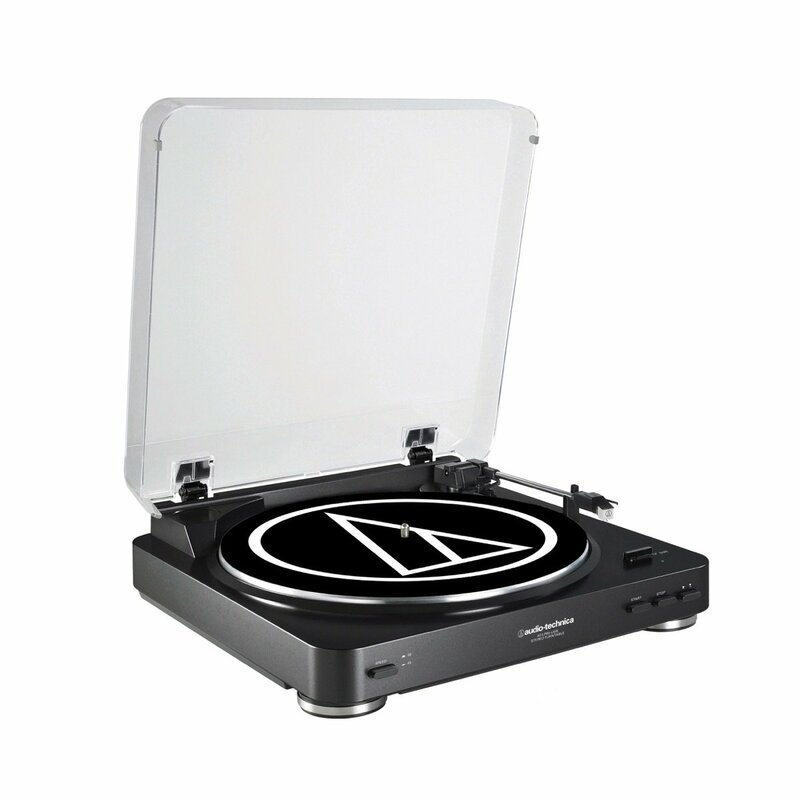 The Audio-Technica AT-LP60 is an entry-level fully automatic turntable. This means that all you have to do is place your record on the spindle, select the appropriate size and speed and press the start button. The turntable has settings for 33 and 45 RPM as well as size selections for 7” singles and 12” records. This turntable will not play 78RPM records. It does not have the ability to spin at 78, nor does it have the proper 3 mil stylus to play them. If you’re just starting out collecting records, you likely won’t have to worry about that either, just be aware in case you come across some at a yard sale or thrift store. It can play the odd 10” record as well, you will simply need to move the tonearm to the start of the record manually for those. 10” records are not as common as 12″ or 7″ records, so it’s likely not to be an issue. There are also buttons to stop the record and return the tonearm to its home position, as well as a button to lift the stylus off the record so you can manually move it to the track you want. One thing to keep in mind here, pressing the cue button in with a good bit of force can make the tonearm bounce up and back down. It probably won’t be able to hit the record surface once it’s lifted, but be aware of that. It’s just something I noticed after living with this turntable for several months. If you push the button in normally, this won’t be an issue. The LP60 comes in a variety of colors and versions. They are all identical with two notable differences. There is a standard AT-LP60 which comes with a switchable phono preamp and cables to hook it up to your receiver. There is a USB variant which adds a USB port for easy connection to a desktop or laptop to transfer records to digital formats like MP3 and FLAC. The USB port adds roughly 30$ to the price, so unless you have plans to transfer your records to your PC, avoid this model and save the extra money for a record, or for what I will talk about later in this article. Finally there is a Bluetooth variant of the LP60 that adds both the USB port and Bluetooth pairing. You can pair the turntable with a bluetooth speaker and listen to your records wirelessly. This adds about 80$ to the price tag, so only get this if you absolutely have to have wireless connectivity. Personally, taking the music from a record and compressing it down to a middling quality Bluetooth audio stream sort of defeats the purpose of getting into vinyl to begin with, but to each their own. I’ll just say that with the $80 you’d save not getting this variant you’ll be able to get a record or two and what I’ll talk about later. Records are fun to collect, fun to watch them play, but if they sound bad, then what’s the point? The AT-LP60 fares well in the sound department. It’s by no means “Audiophile” grade equipment, but fitted as it is with a tried and true AT3600 Moving Magnet cartridge as opposed to cheaper ceramic cartridges, it does deliver some very nice sound. There’s a good amount of bass and the mids and highs are well defined. As you get towards the inner groove of a record, however, a bit more distortion starts to show itself. The higher frequencies start to sound sibilant and off. Bear in mind the price of this turntable though. Considering that, the performance is definitely acceptable. What’s a little harder to accept is the deck’s inability to track some records properly. My particular unit has a hard time with my re-issues of AC/DC and Metallica. Maybe it just doesn’t like hard rock or thrash, but it can be very annoying if you bring a record home and find out it’s skipping all over the place. There’s nothing to do about this either, as the turntable has no adjustments whatsoever. The only saving grace is that I can count on one hand the number of records it had issues with and still have fingers left over. I can’t write a review of a piece of hardware and not talk about the build quality. Firstly, this is a mass-market device. It’s meant to be easy for people to set up and get to playing records. It’s also meant to do that at a mass market price, so you can expect that some corners have to be cut. The LP60 is a very light turntable. That translates to it being susceptible to external vibrations making their way into the music. If you’re setting the turntable on a desk that also holds your keyboard and mouse, the vibrations from typing and mousing will be heard through the turntable. So it’s best to set it on a surface that’s both level and not likely to be jostled around. I have mine on a solid wood dresser. It turns out that a few hundred pounds of wood and clothes soak up vibrations rather nicely. 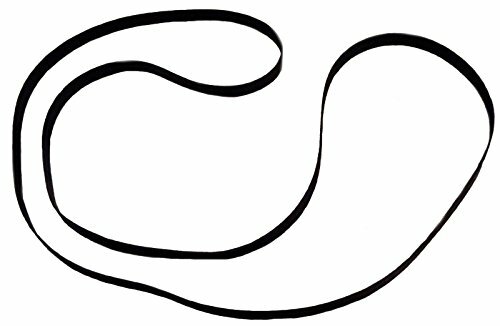 This little rubber belt is one of the most important components of the turntable. The LP60 comes with a dust cover, as all turntables should. It’s made of a soft plastic that’s very susceptible to scratching. Setting record jackets and sleeves on it while playing and just moving them about is enough to scratch it. If you’re concerned about retaining the deck’s cosmetics, be sure you don’t put anything on top of the dust cover. You might even want to remove it from the hinges while you’re playing records. It’s on slotted hinges, so taking it off and putting it back on is very easy. The biggest issue that seems to develop over time with these LP60 turntables is inconsistent speed. Mine in particular played records too fast. Not much faster than normal, but enough to change the tempo and pitch of the music. Some have reported the speed drifting, slowing down and speeding up during playback. All of these issues stem from the supplied belt. It is simply too thin and flimsy to last very long or provide a consistent experience over time. There are really only three user replaceable parts on the LP60. There is the Stylus, the platter belt and the slipmat. The LP-Gear Upgrade kit covers the first two and most important parts. The replacement belt that comes in LP-Gear’s kit is noticeably more robust than the one it’s replacing. It’s wider, thicker and when fitted to the platter and capstan, tauter as well. The difference upon installing the belt was immediate. First of all and easiest to notice was that the speed was now correct. Less noticeable was the fact that the platter gets up to speed much more quickly. After a solid month of using the new belt I have not run into any issues. 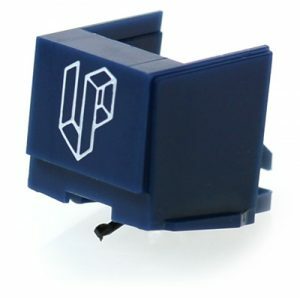 The LP-Gear Upgraded Stylus that comes in the Upgrade Kit. LP-Gear’s Upgrade Kit also contains a much improved stylus. Unlike the .6 mil Conical stylus that the LP60 ships with, LP-Gear’s upgraded CFN-3600LE stylus is a .3 mil x .7 mil Elliptical stylus. Elliptical styli can get more of the music out of the grooves of a record. It also features a Carbon Fiber cantilever instead of an aluminum one. The combination of the two means that you get more bass, more defined highs, and less resonance. I found that with the stock stylus, when a pop or click happened, it tended to ring for half a second, whereas with the upgraded stylus fitted the pops were simply there and gone, which is far less fatiguing to listen to. For me, this wasn’t a subtle difference or something I had to learn to listen for. The improvements in the sound quality really stood out. I mentioned the slipmat earlier, so I should touch on it briefly. You’re not stuck with the one that Audio-Technica provides. You may want to replace this with a rubber mat, or a cork mat or maybe a patterned mat. It’s all up to you. I would consider doing so though, as the felt mat the turntable comes with really likes to attract static. The end result of that is that when you take your records of the platter you’ll feel a rather fun tingling in your fingers. The mat will also tend to stick to the underside of your record, which is a little annoying. The AT-LP60 has its faults for certain, but they’re not deal breakers. On its own it’s a decent turntable for those looking to get into Vinyl without breaking the bank. If you add LP-Gear’s Upgrade Kit, you end up with a turntable that performs a lot better than you’d expect. If you’re an LP60 owner already and you have not fitted the LP-Gear kit yet, it’s something to seriously consider. For $40 it’s well worth it. If you’re a newcomer looking to buy an LP60, I would recommend getting one from LP-Gear themselves. 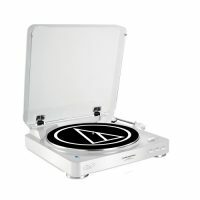 For the same price as the stock LP60 on Amazon, you can get one with the Upgrade Kit already installed. So if you’re going to get an LP60, you may as well get the best LP60 possible. Remember, Vinyl should be for everyone, and affordable, good sounding turntables like the Audio-Technica AT-LP60 go a long way towards that. An Audio-Technica AT-LP60-USB Turntable was purchased by the reviewer. An LP-Gear Upgrade Kit was provided by LP-Gear for review. Thank you for the review. It was very insightful and helpful for me troubleshooting why some of my records skip but look flawless. Since I have to live with this player for now should I just lift and nudge the tone arm to deal with areas that skip or tey the belt replacement first? Hey, sorry I missed this over the holidays. I don’t think the belt replacement is going to help much unless you’re also experiencing speed fluctuations. What might help things is LP-Gear’s Stylus. Still, if you’re going to get the kit from them, you may as well do both parts. Even then, the Stylus reduced skipping for me, but didn’t completely eliminate them. Might tide you over until your next turntable upgrade.